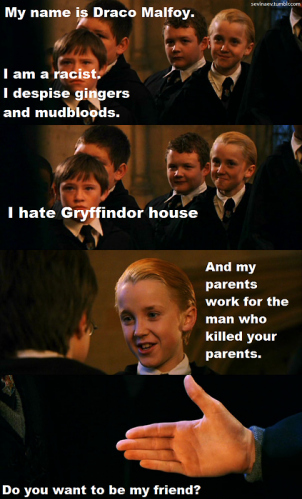 Draco funny!!!!!!. Draco!!!!!. Wallpaper and background images in the Harry Potter club tagged: harry potter. This Harry Potter photo might contain potret, headshot, closeup, and headshot closeup. This was in the script of A Very Potter Sequel in 2010...whoever made this pic obvs copied it. ^^They probably made this *in reference to* of AVPS.